Winter is here! Let’s celebrate it with snow! It’s winter so let’s celebrate it with a lot of snow! And it was the joy of snow that has attracted thousands of children to come to the snow tube event at Ashburton on July 21st 2012. The whole shopping centre has become a place to celebrate the winter and the joy of life itself. There was Blake the Buller Flake, Frosty the Snowman and the “Skater Dude”, a lot of surprises and giveaways for both adult and kids and the last but not the least the ice tube was there for the very first time in the Ashburton snow event. Mt Buller delivered tonnes of snow and snow tubes in Ashburton. 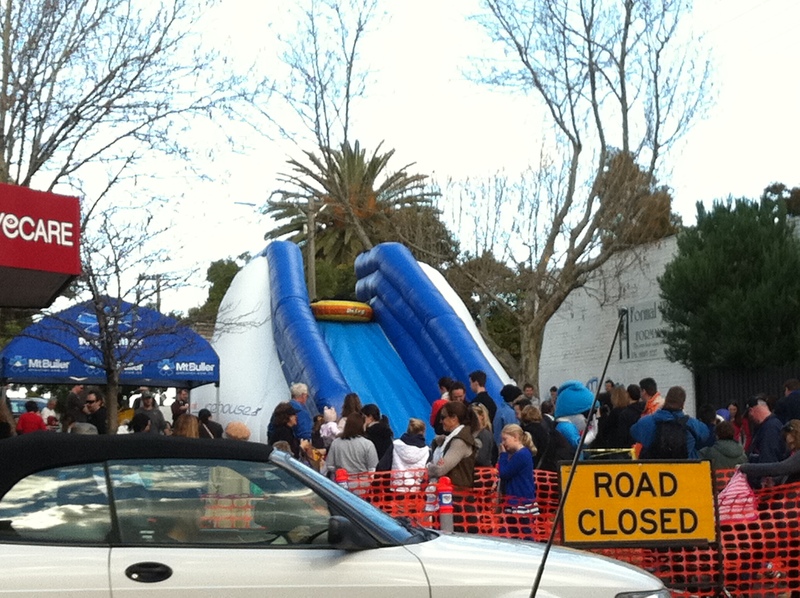 The Ashburton shopping area was turned into a snow play zone for kids and families. The snow at Ashburton is an annual event that started 6 years ago. At that time the coordinator of the snow at Ashburton event, Lis Webster saw on the news that Mt. Butler took snow down on the zoo. She was then inspired to do the same thing on the Lexia street. She rang the management of the Mt. Butler, and they told her that they willing to have it ago. Snow really happened in Ashburton on 9th of August 1961. When I asked Ms Webster about this she told me that yes it was really happened but it was not that fact that has inspired her to ring Mt. Butler to bring the snow to Lexia Street. 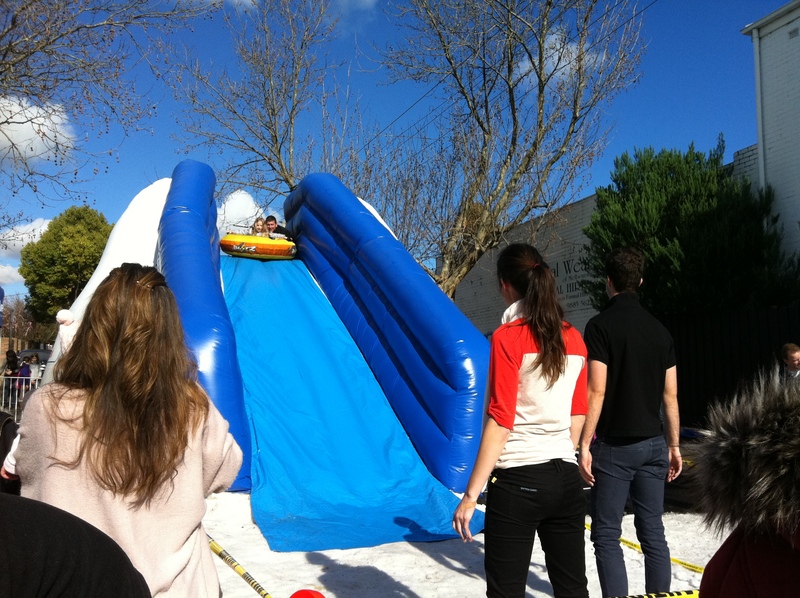 Ms Webster said: “It always fun to do things to be a bit different and it was fun to have a snow on the street”. The beauty of the snow has marked the day for the kids. The snow event undoubtedly has been one of the most wonderful experiences in their lives, Abby (8 years old) and Ella (9 years old) said that “This is one of the best experience I ever experienced, I told my friends to come along because this is so much fun”.